What "holds" do tcc people find and use form their forms? I.e., which parts of the form are used for wrestling (joint manipulation), etc? And yet, Foreman got knocked out in the fight. Ali allowed him to punch himself out, at one time whispering, "Is that all you got, George?" When we talk about CMA fighting method, we should not use fighting method from boxing, wrestling, or Judo. The following clip shows 100% CMA fighting method. I believe it can be used in Taiji PH as well. johnwang wrote: When we talk about CMA fighting method, we should not use fighting method from boxing, wrestling, or Judo. Why you think it isn't used in phs? But, why worry about phs anyway. If a CMA fighting method is found in boxing, wrestling or judo, should we "not use it?" Should we "not use" shuai chiao throws found in judo? Most CMA fighting methods are not "100%" exclusive. Wrist and elbow throw is used in Aikido too, not a "100% CMA fighting method." Should we "not use" it? to me, the main issue is that a TCMA, like Xingyi or Taiji, is not boxing, wrestling, or competitive pushhands. developing fighting skill largely through knowledge of specific forms is the largest difficulty. If you box and practice boxing you'll get better at boxing. ability to control the opponent. To me the main issue in TCMA is that it is so much based on knowledge of form, that the teacher, who knows more, will typically continue to outshine the students. The OP is meant to draw attention to someone who has enough knowledge of TCMA forms in order to bring those forms into free application. What more can you hope for? If you practice forms, and you are getting better at expressing those forms/shapes in combative situations then I believe you are on a good path. - kick to set up punch. should be the center of the CMA fighting strategy. If you practice forms, and you are getting better at expressing those forms/shapes in combative situations then I believe you are on a good path. How can you know if you are getting better in combative situations if you're not in them? Practicing forms takes time. Practicing using form shapes in combative situations takes time. Some would argue that, if application is a goal, the most efficient use of time is to make practice similar to application. I agree that tcma is not just about combat. Tcc forms may have certain health benefits because of the form shapes and movements. However, in terms of application, either they work or not in whatever context they're needed. I don't believe that forms train a person for any specific combat context. That is, unless people fighting look like they're doing tcc forms. That's not what we ever see. That said, it's not necessary to worry about fighting at all in order to practice. But, I'd argue that if someone hasn't practiced applying what he does, he can't know if he can apply it at all. Sure, phs skills can be applied in a fight. But, the other guy probably doesn't know push hands. rojcewiczj wrote: If you practice forms, and you are getting better at expressing those forms/shapes in combative situations then I believe you are on a good path. in that order. You have to train this with a partner. You just can't develop it by sweeping into the thin air. Last edited by johnwang on Mon Mar 25, 2019 12:11 pm, edited 2 times in total. rojcewiczj wrote: If you box and practice boxing you'll get better at boxing. "If you box and practice boxing, you'll get better at" reading, luring, neutralizing, controlling, issuing power, timing, distance, etc. John Kavanagh, Conor McGregor's coach on Aug 22, 2017 wrote: “I often say this to people,” Kavanagh explained, “that if you look at various martial arts, there’s a lot of different martial arts, but take a Kung Fu master and a Wing Chun master and you put the two of them in a pair of speedos, make them have an MMA fight in a cage — it looks like two guys who don’t really know how to fight fighting. And the point being, that in a lot of those circumstances, you just don’t have the delivery systems, the fundamentals of fighting ingrained in them. Which "forms/shapes" did this "Old man Tai chi vs Thug" use? Excerpt from"Master Koh Ah Tee." John Chow of Tao of Tai Chi Chuan Institute on his Taipei trip, June/July 2005 wrote: Master Koh Ah Tee is one of the outstanding masters of the “next generation” -those coming after the old masters. Master Koh Ah Tee studied under several top masters of the Cheng Mang Ching lineage:- Tan Ching Ngee, Wu Guo Zhong, and Lau Kim Hong. He has advanced his understanding to a very high level. Master Koh Ah Tee believes Tai Chi Chuan is a teaching of the Dao. He reads the Dao De Jing daily. 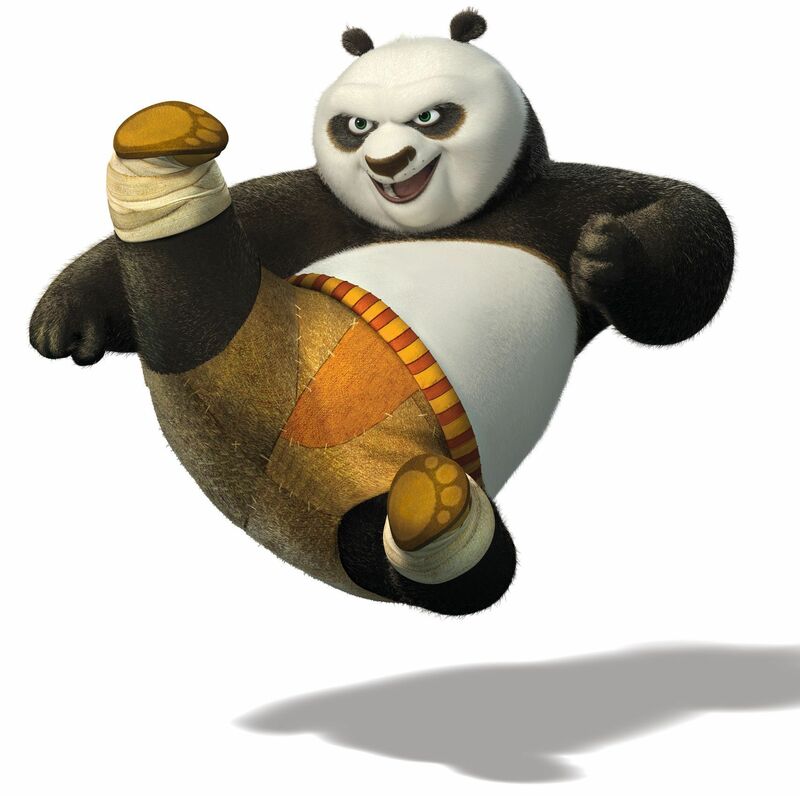 His Tai Chi Chuan is formless. He says all the different styles of Tai Chi Chuan was what the old masters had created by themselves from their own experience and understanding, and it is their own individual expressions. It is their students who learnt the teachings and formalised them into definitive structures that became styles. These are the teachings of human beings, and are not the Dao. In reality, there are no styles. There are only 2 types of Tai Chi Chuan:- incorrect Tai Chi Chuan, and correct Tai Chi Chuan which is based on the old classics, which are in accord with the Dao. Master Koh Ah Tee says correct Tai Chi Chuan is formless. It should not look like this movement, or that movement. All the movements we have in our Tai Chi Chuan styles were created by the old masters to reflect their ideas about the Dao. They are ideas and creations. They are not the Dao. The real Dao is formless. Therefore, everything we do, speak, act, thinks or feel is movement of the Dao. We must understand the way of the Dao and apply that to our bodies, speech, minds, functions and activities. That is practising the Dao. As long as the expressions are in accord with the Dao, that is correct Tai Chi Chuan. Master Koh Ah Tee emphasised to practise the exercise form. Everything and every training is found in the exercise form. Relaxation, yielding, neutralising, attacking, stepping, alignment, Fa Jing, Yin & Yang, emptiness, 13 Postures Nei Gong, mental intent etc etc are included in the exercise form. . . .
How does one develop high combat skill? Practise the exercise form diligently. One is formless and one’s techniques have no format. Thus, the opponent can not know what shape or form or direction one is coming from. One is empty so the opponent can not find one and thus, can not effectively attack. All these abilities arise from diligent practise of the exercise form. Similar answers are given for other training devises such as the San Shou (2 person sparring set). I note that when Master Koh Ah Tee was developing his Tai Chi Chuan skills, he trained hard as all others do. Now that he has attained skills and understanding, he has attained to a high level, and discarded fixed format and fixed techniques and fixed styles. He has discarded various different “extra implementations used as training devices by other masters. His Tai Chi Chuan is formless. Having good form/shape means that power can arise instantly from that form and shape. It means that wherever and whenever you make contact you can express whole-body power. Good form has no power but makes the body into a pulled back bow, ready to express power at any moment, in any direction, in any orientation to the opponent. Good form conceals formlessness and vice-versa. I'm not saying that sparring is not a part of the development, but at the end of the day we are all working with our physical/mental limitations. Form practice can do much to address those limitations if practiced correctly. If videos are posted of TCMA people being beaten up, it is because they have failed to develop the ability to express adequate power instantly from any position. Fighting is simple. I like to grapple with Jiu-jistu/ judo people and american wrestlers. I dont really know jiu-jitsu and wrestling but I can pull and push and grab and everything else I do everyday just living life. What I find is that no one is immune to real, sudden power.